Coach Matt Dyer enters his first season at the helm of the UMFK Track & Field Program during the 2018-2019 academic year. Dyer comes to Fort Kent after 6 seasons as the head coach of the Elms College (Chicopee, MA) cross country programs and 2 as the head coach of their track & field programs. During his tenure at Elms he helped direct both cross country teams to top finishes in the New England Collegiate Conference (women: 2nd in 2013, 2014, and 2017, men: 3rd in 2015), and was named NECC women's coach of the year in 2013. In 2017, Dyer completed the inaugural season for the Elms College track & field program, which culminated in senior Trifon Bish earning All-American honors with a sixth-place finish in the long jump, while adding a ninth-place finish in the triple jump at the NCAA Division III National Championships in Ohio. The 2018 season saw their men's team finish 2nd at the inaugural GNAC/NECC Interconference Championship. Prior to joining Elms, Coach Dyer spent three years (fall 2009-spring 2012) as the assistant track and field and cross country coach at Connecticut College (New London, CT). where he was in charge of the team's sprinters and jumpers, recruited prospective high school athletes, and assisted in the management of home track and field and cross country events. As an NCAA Division III student athlete at Connecticut College where he graduated with a bachelor’s degree in economics in 2008, Matt competed from the winter of 2004 until the spring season of 2008. Competing as a sprinter, Matt capped his career by being named a team captain and was named to the New England Small College Athletic Conference (NESCAC) all-academic and all-sportsmanship teams, and was honored as the 2008 MVP of the Connecticut College track team. Coach Dyer further supplemented his education by obtaining a master's degree in exercise science and sports studies with a concentration in strength and conditioning in 2015 from Springfield College (Springfield, MA). 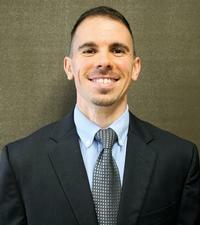 Coach Dyer is also a Certified Strength and Conditioning Specialist through the National Strength and Conditioning Association (NSCA CSCS), a USATF Level Two Certified Coach (Sprints/Hurdles/Relays), and a Certified Sports Nutritionist through the International Society of Sports Nutrition (CISSN).